R.B. 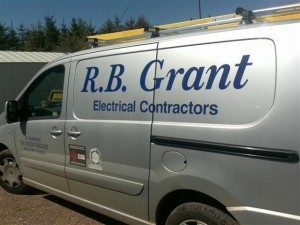 Grant Electrical Contractors provide an electrical repair service in Fife and surrounding areas. 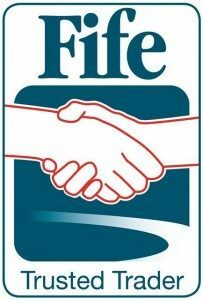 We are trained and qualified to carry out general electrical repairs to domestic, commercial and industrial installations. 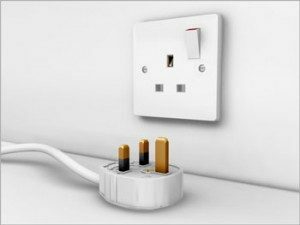 Whatever your electrical problem, we provide an emergency electrical repair service within one hour or a normal visit within two working days. Mr Brydon – St Andrews ” I called a few electricians but said they were too busy to carry out a small electrical repair. I found RB Grant on the Internet and after calling them they booked an appointment for the next day. The electrician arrived exactly at 10 as arranged and was straight to the job. He carried out the repair to our lighting pendant in the living room and fixed a couple of faulty sockets. The invoice arrived the next week and was happy to see it was exactly a costed on the phone by Mr Grant. Very happy with the job carried out and would highly recommend their electrical repair service.